Number of copies can be controlled via the PCF file. Multiple copies are no longer printed multiple times, but sent directly to the printer together with the required number of printouts as a single job. 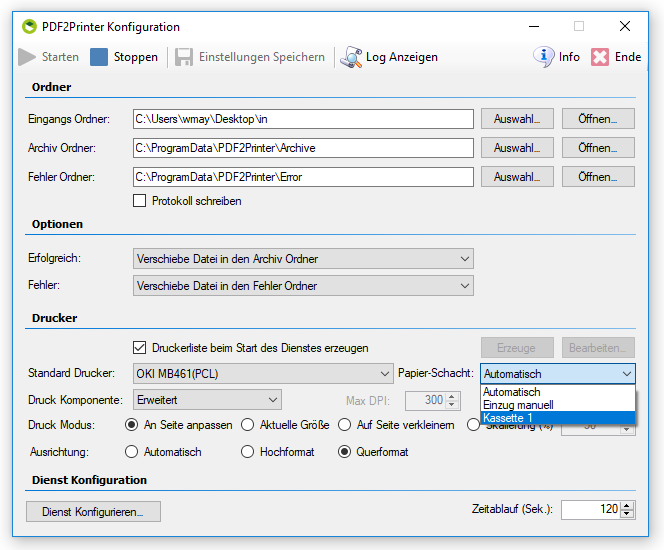 Paper feed presettable, or it can also be overriden by PCF file individually for the PDF file to be printed. 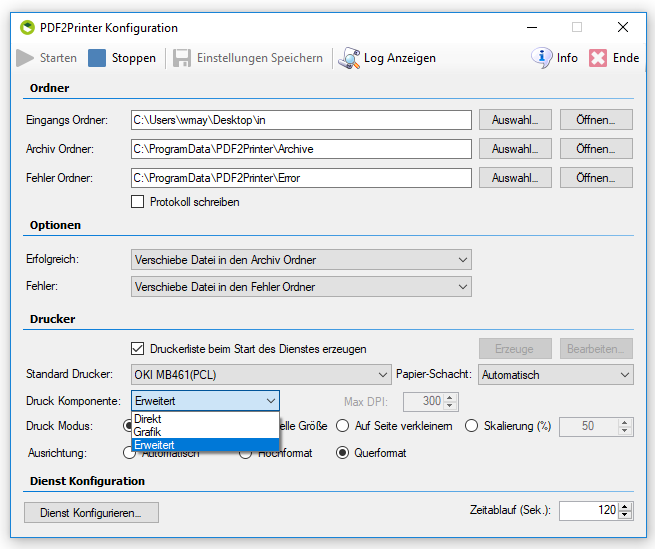 The PCF control file has been extended with parameters for the number of copies and paper feed controls. Triggers the start of the printout. PCF file contains separated with tab: path of the PDF to be printed, name of the printer, paper tray (ID of the tray and name of the tray separated by “:”), number of copies. PDF2Printer creates the file “printers.pnames“. In this file, the names of the available printers as well as the ID’s and name of the paper trays are to be found.